When the earthy colors of Alexian are visible inside, these appetizers really pop. Serve them in individual serving sizes for an easy, handheld bite. They will look fabulous on any holiday-decorated table or plate. 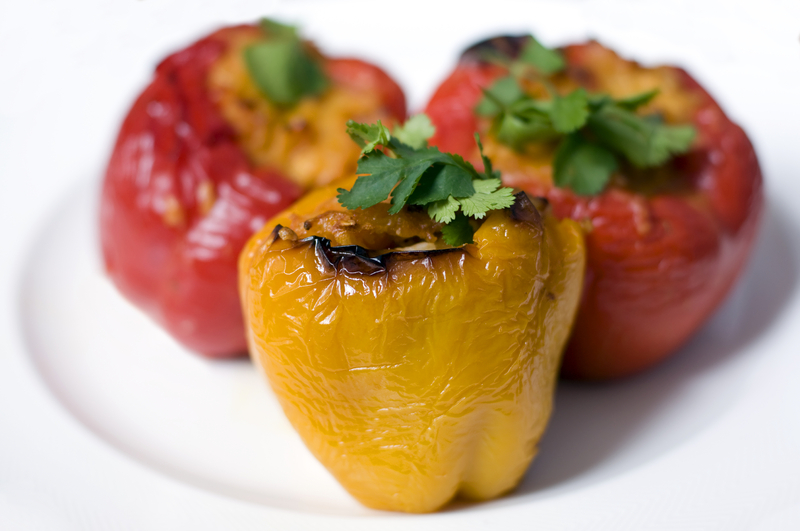 To make them, simply gather mini bell peppers and small Roma tomatoes. Cut the tops off and remove seeds and ribs from the inside, or simply scoop out enough room to add a generous dollop of pâté. We recommend using our Goose Liver Mousse or our Truffle Mousse as the stuffing. To add a bit of caramelized texture, drizzle the peppers and tomatoes with olive oil and grill 2-3 minutes on each side before stuffing them. These combinations can also be made with slices of tomato or pepper for a different look, or can be served using larger tomatoes and peppers and served with vegetable sticks for dipping. Add freshly grated cheese and crushed walnuts for added flavor and contrasting textures.